Credit card payments aren’t restricted to being accepted only by retail stores and online suppliers any longer. Now you can accept Visa, Mastercard, Discover and American Express anywhere using the Square app and credit card reader. The reader comes free when you sign up, plugs into the headphone jack of your favorite smartphone, and lets you accept cards on the spot. You get next-day deposits and pay 2.75 percent per swipe with no other fees. Square is a must if you have a point-of-sale (POS) business that doens’t stay in one location. PayPalHere is another of the new payment solutions. Similar to Square, PayPalHere also lets you accept debit cards, checks, and PayPal account payments. This service also comes with a free card reader and charges 2.7 percent per swipe with no extra fees. If a card needs to be scanned in or manually entered, you’ll pay 3.5 percent plus 15 cents. In addition, the app lets you send electronic invoices and record cash payments; ideally, you can use it as a one-stop mobile credit shop. The Evernote app uses an elephant as its symbol, along with the tagline “remember everything.” The idea here is that you can collect and record photos, emails, audio files, and handwritten documents, then easily search for any data you need. The app’s search tool can find information using keywords, tags, or even text embedded in images. In addition, the app works across desktops, laptops, smartphones, and tablets to give you access regardless of where you are or which device you’re using. 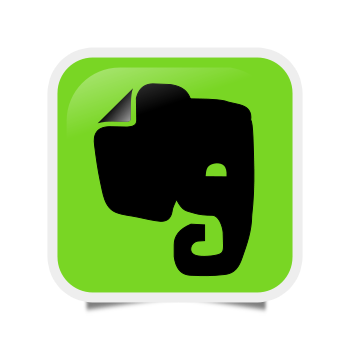 Evernote is free to use. WorkFlowy, meanwhile, is meant to mimic the way you think and provide a simple, minimalistic way to create lists and organize tasks. Using a series of easily configured drop-down menus, WorkFlowy lets you quickly add or adjust an item on a list, making it perfect for a brainstorm about one project that happens when you’re working on something else. Simply pop open the app, add your note, and come back to it when you’re ready. The app is free if you create less than 500 items per month; if you find it works for you, expect to create thousands. Signatures on documents are still critical in a mobile world. Email agreement just won’t cut it for legal and liability thresholds. Enter SignNow, which lets customers and employees sign “in person” on their smartphone or tablet and create a signing link you can email, text, or post online. Expect to pay $100 per year for 120 signed documents and three users and up to $5,000 for effectively unlimited use. According to the app’s website, over 100,000 small businesses and 50% of Fortune 500 companies are already on board.